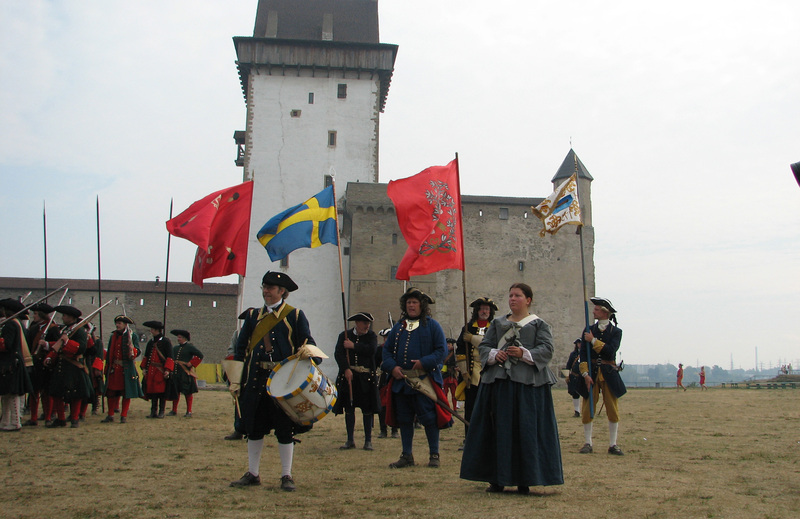 The formation of the Narva castle began in XIII-XIV cc. and was completed by the middle of the XVI c. It was fortification of a castle type. In XIV-XVI cc. 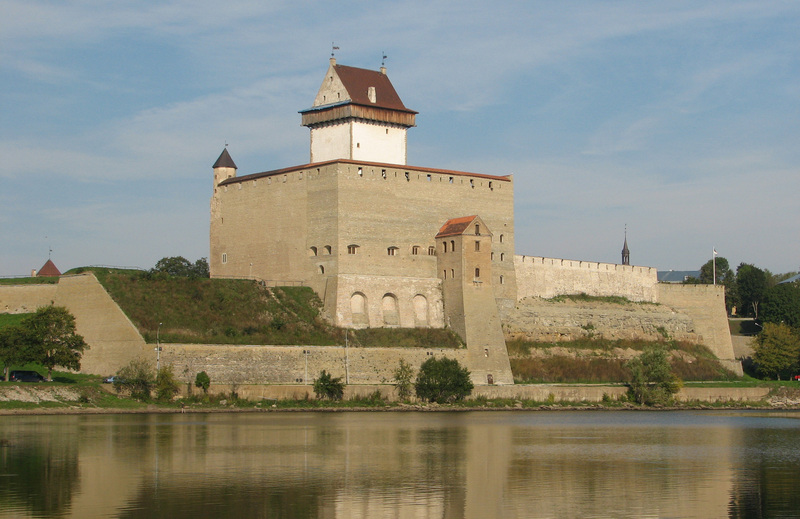 the construction of the castle was continued, converting it into a convent house in accordance with traditions of the Livonian Order. It consisted of the main building, (rectangular in plan), with the tower Tall Hermann in its northwest corner. At the end of the XIV c. the tower got its final height (51 m), and in the XVIII c. it got a new pyramidal roof and a small watchtower in the middle of it. The castle was significantly damaged during the Second World War. Restoration works started in 1955 and they still go on. 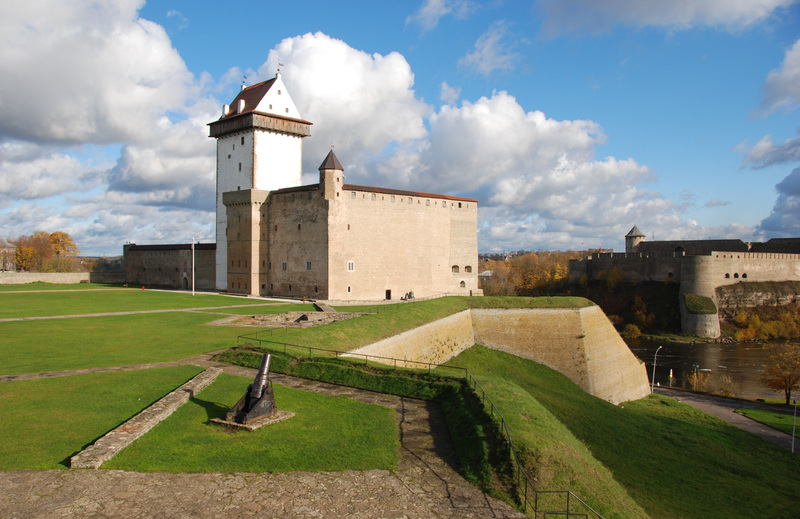 Since 1987 Narva Museum is housed in the restored rooms of the castle.